All kinds of dangers lurk outdoors for cats. In her 30 years of feline practice, Dr. Eisen has seen her share of emergencies. Many of them could have been prevented if the cats had been kept indoors. Getting hit by a car is one of the most common injuries she sees and one of the most common causes of trauma among the claims Pets Best Insurance of Boise, Idaho, processes. 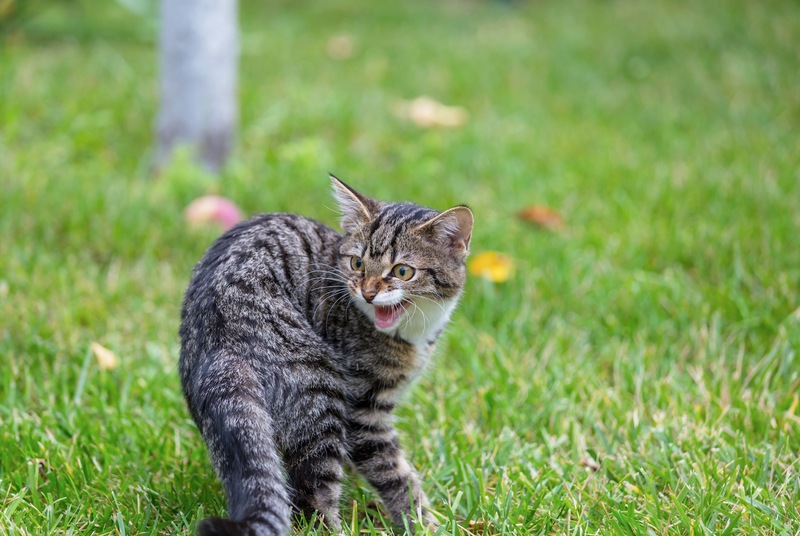 Fighting with or getting attacked by other animals like coyotes is another outdoor danger that Dr. Eisen often sees — that is, if the cats survive the attack. Other outdoor risks include infectious diseases like rabies as well as viral contagious feline diseases like FIV, FIP and FeLV. “A lot of them get stuck looking for shelter,” Dr. Eisen says. “They end up in someone’s garage.” If they get lost, they become malnourished because they haven’t been able to find food. Poisonous substances they come across, broken bones from falling out of trees and lacerations are other outdoor injuries that Dr. Eisen treats — not to mention ticks, fleas and all the diseases associated with those parasites. Read the article to learn about the other worries and how to keep your feline friends safe. Obviously, a catio is a great place to start!